La Galerie Hotel Make your day hotel stay enjoyable and comfortable by booking your day stay at La Galerie Hotel. La Galerie Hotel is a premier daystay hotel in middle of the Central Business District of New Orleans. Spacious rooms feature flat-screen TVs and climate control. Complimentary WiFi is available throughout this day use hotel, keeping their guest connected. This half day stay hotel boasts a bar, a restaurant and even an art gallery. Just a half a mile from the French Quarter, means this daycation can be filled with all the famous attractions New Orleans has to offer. Twenty-four hour front desk and concierge service helps busy travelers with a myriad of tasks, including helping to get them where they need to go and quickly. 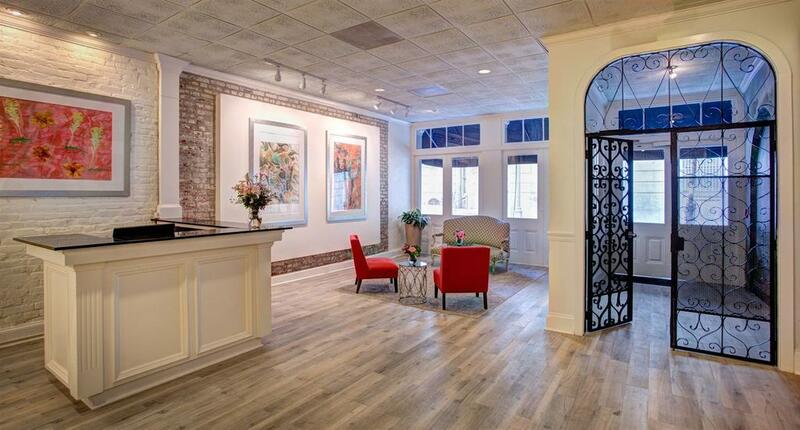 Beautiful wrought-iron gates give way to a modernly elegant lobby. 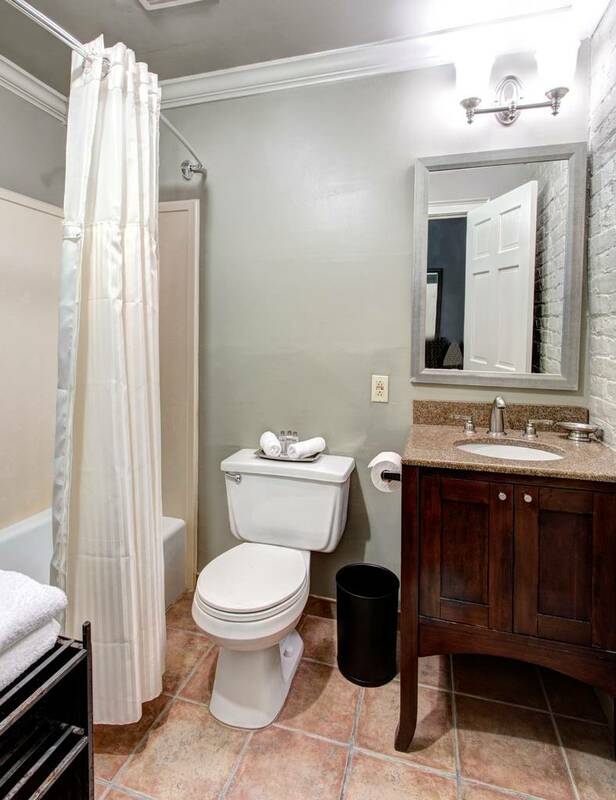 Just 12 miles from the Louis Armstrong New Orleans International Airport, makes this a terrific transit hotel for folks on-the-go. 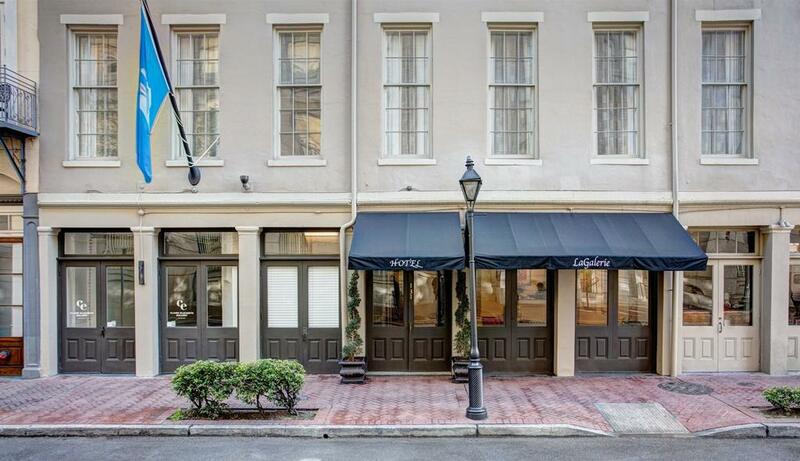 This day hotel is located in the Central Business District, a sub-district of the French Quarter. It was first developed in the 18th century as a residential area as the city began its first major expansion. It’s the hub of professional buildings and the public transit system. Commerce is everywhere as many major national retailers and specialty shops fill the area with terrific shopping opportunities. 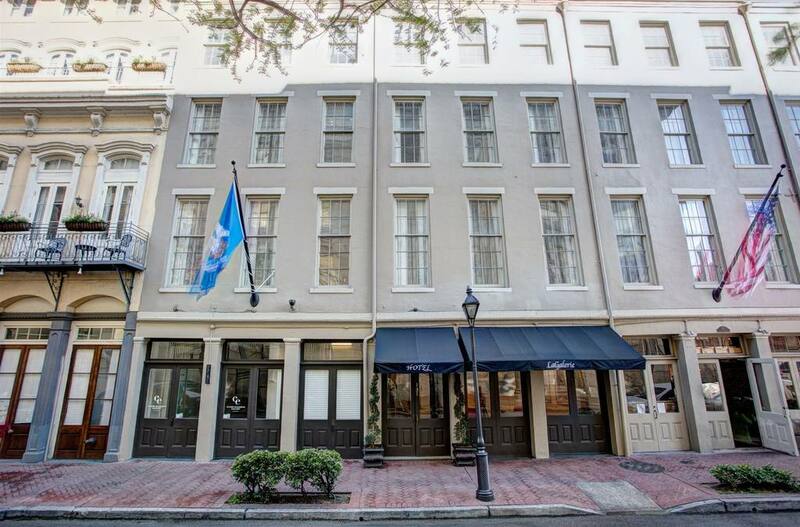 In addition, many musuems, such as the National World War II Museum, the Louisiana Children’s Museum, and the New Orleans Contemporary Arts Center are nearby this half day stay hotel. Saint Louis Cemetery- There are three Catholic cemeteries with this moniker in New Orleans. The oldest and most famous is the first one, opened in 1789. Most of the graves are built in the 18th and 19th Centuries and are above ground. It’s a stunningly beautiful site and fitting for as the burial grounds of some of New Orleans most acclaimed residents through the ages. New Orleans Public Library-This is the perfect place to delve into the culture and history of New Orleans. The main branch of the library is in this “downtown” district and it offers many ways to learn about the historical site of NOLA through education, music and technology. The Joy Theater-This landmark theater was one of the first movie theaters in downtown. The first venue was closed in 2003 but in 2011 it reopened as a live performance space. It currently features music, theatrical productions and special entertainment events. 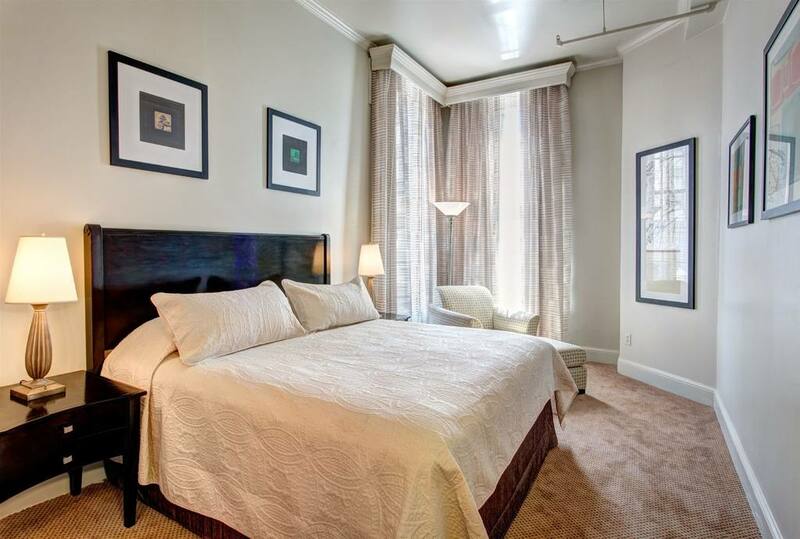 Located on Canal Street, it’s just steps away from all the main attractions of the French Quarter. Entergy Giant Screen Theater-This is one of the biggest screens on the Gulf Coast and it brings wildlife educational films to life. The best projection systems coupled with a Dolby Atmos multidimensional audio system makes folks feel like they are 100 leagues under the sea and flying thousands of feet in the air. Luggage storage-Keeps your belongings secure during your half day stay. Tour desk-Getting where you most want to do is made easier with this helpful service. Onsite bar & restaurant-You don’t have to go far to enjoy a delicious meal and cocktail. Parking - Temporary parking available for $20.00 + tax (cash only) or valet parking available for $39.00 + tax per night.